The disposal or organized reuse of waste, especially plastic, is a particularly challenging problem in Egypt. Only about 60 percent of the waste is collected and less than 3 percent recycled. Garbage is burned illegally and pollutes the air and groundwater. SEKEM runs its own waste separation and waste management on the main farm already for a long time. Now it is explicitly about banning plastic waste completely or reusing it multiple times as a precious resource. In Egypt only about 60 percent of the waste is collected. SEKEM’s Vision Goals for 2057 include: Zero waste and circular economy. An important first step towards these goals has been taken by a trainee and a student from Europe, Florian Mende and Lilli Pohl. 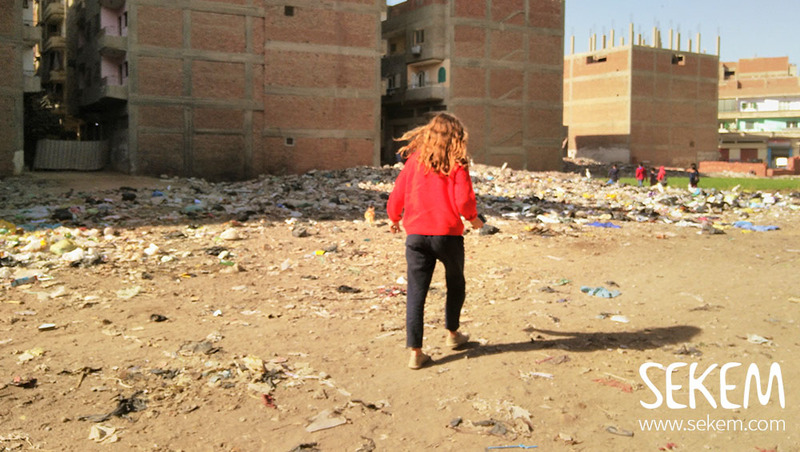 “I was quite surprised and annoyed when I saw all the garbage even on the Heliopolis University campus,” tells Florian. “But then I realized that I can either get upset, or simply start to do something about it,” the student from Germany continues. Together with an exchange student from the German Alanus University, Lilli Pohl, he identified “Precious Plastic”, an open source community from the Netherlands, as a fitting model to ban the plastic waste from SEKEM in the long term. “Precious Plastic” is a global forum that enables anyone to recycle their plastic waste on the spot. The platform gives for example instructions for the construction of recycling machines using simple and locally available materials. 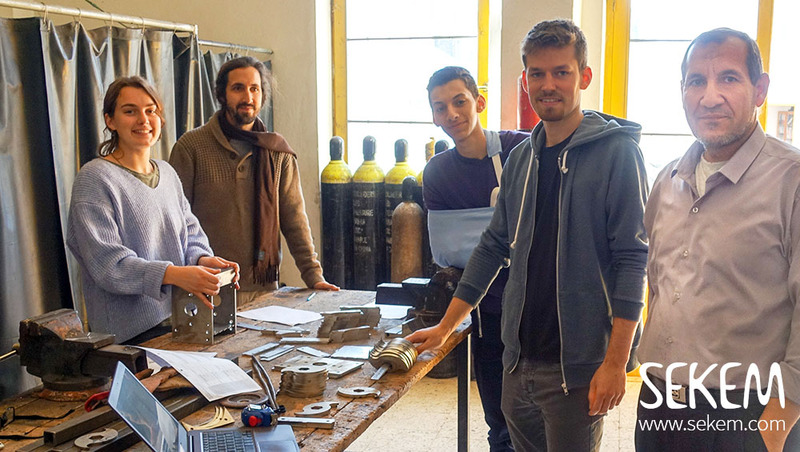 “So far, we have built a total of 8 machines – 4 in duplicate, since we have set up a workspace at the SEKEM Farm as well as at Heliopolis University campus,” explains Florian. 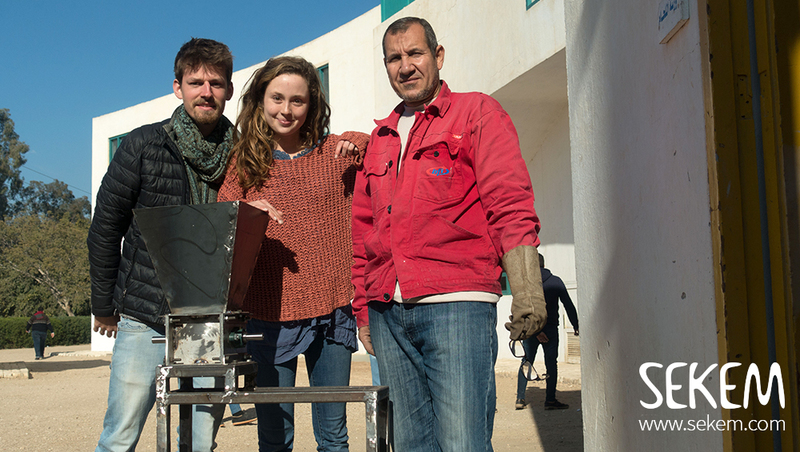 Students of SEKEM’s Vocational Training Center supported Florian Mende (right) and his team by constructing the recycling machineries. The metal workshop of SEKEM’s Vocational Training Center supported the 10-members team in constructing the machines and some employees even bring their plastic waste from home to the farm in order to recycle it. “Like that, the project could become financially affordable in the long run,” explains Florian Mende. “We produce for instance very stable planks, bars or bowls that can be sold for good prices.” However, until now the project is still depending on donations – among the supporters so far, were the SEKEM Friends Associations from Germany and some private donors. SEKEM aims to ban all plastic from the initiatives premises soon. Hence, representatives from the different institutions meet on regular basis. 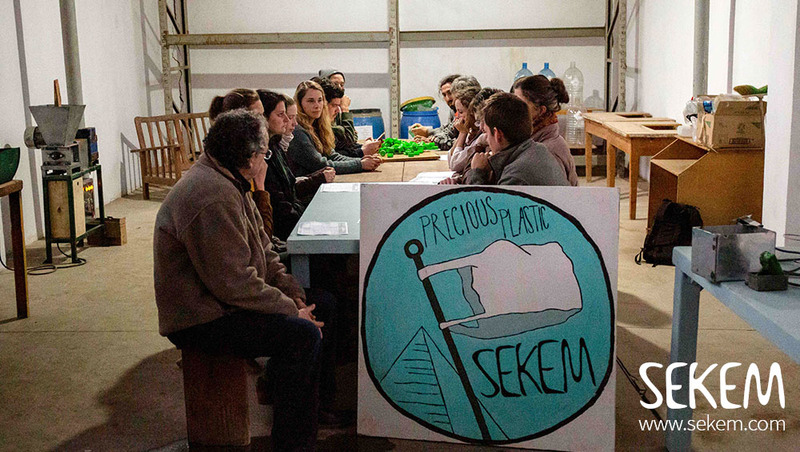 “Precious Plastic” with the SEKEM addition “Zero Waste” is more than a workshop for recycling plastic waste. In the sense of SEKEM, awareness raising, and concrete educational approaches are integrated. Hence, SEKEM teachers offer workshops on the topic, and the Department for Education for Sustainable Development at Heliopolis University integrates a lot of the content into its curricula. Lilli Pohl and Florian Mende while planing the construction of an recycling machinery together with their team at SEKEM’s Vocational Training Center. Lilli Pohl and Florian Mende will present the “Precious Plastic” project on April 27 at the SEKEM Day in Stuttgart. You want to support the project?